The Young Men's Christian Association was founded in London, England, on June 6, 1844, in response to unhealthy social conditions arising in the big cities at the end of the Industrial Revolution, roughly 1750 - 1850. Growth of the railroads and centralization of commerce and industry brough many rural young men who needed jobs into cities like London. Far from home and family, these young men often lived in the workplace, working 10 to 12 hours a day, six days a week. Outside the workplace walls, they had to deal with pickpockets, open sewers, bars, and prostitutes. 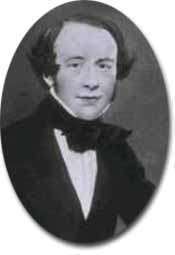 George Williams, born in 1821 on a farm, came to London when he was 20 years old to work in a draper shop, the forerunner of today's department stores. In 1844, he and a group of fellow drapers formed the first YMCA to substitue Bible study and prayer instead of life on the streets. By 1851, there were 24 YMCAs in Great Britian, and that same year saw the first YMCAs in North America in Montreal and Boston. George Williams was knighted by Queen Victoria in 1 894 for his YMCA work and is buried in St. Paul's Cathedral among the nation's heros and statesmen. A large stained glass window is in Westminster Abbey, complete with a red triangle, is dedicated to Sir George and to the work of the YMCA during the first World War. Today, there are YMCAs in 124 countries around the world serving over 44 million people. These Ys are serving the poor and disadvantaged, helping deal with national health issues, and serving as a safe haven for youth around the world. In the United States, 2400 YMCAs are in communities large and small continuing to serve our members through programs that build a health spirit, mind, and body for all. For more information about the YMCA movement click here.